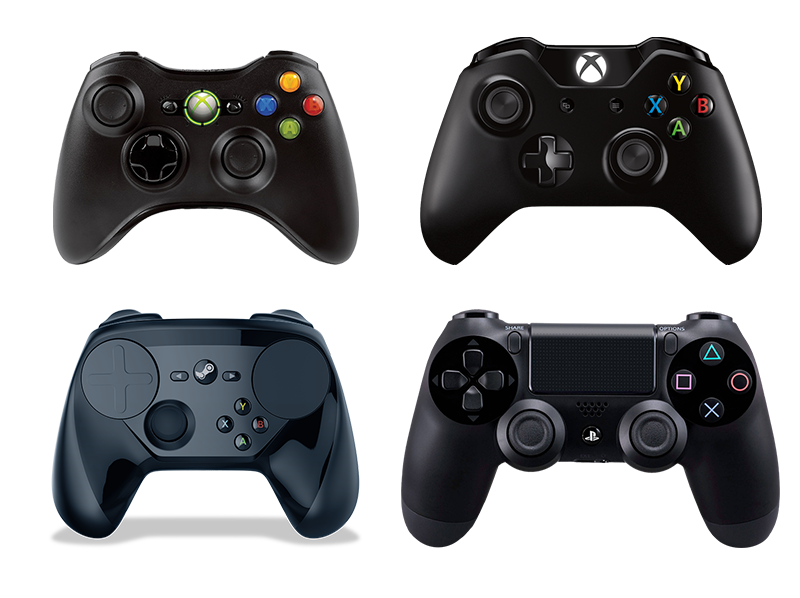 This section documents all of the devices officially supported by the steam input configurator, with detailed descriptions of their physical differences and capabilities. Developers should familiarize themselves with all of these devices since the player base uses the full range of devices. As of this writing, there are six supported device categories, with more to come in the future. Note that the terms "PlayStation 4 controller", "Xbox 360 controller", and "Xbox one controller" also refer to any variant devices (such as fighting game joysticks) that use the same input protocol as the base model.